SMTA Pan Pacific: Electronics for Harsh Environments - "The Next Big Thing in Electronics"
I went to SMTA Pan Pacific, on the Big Island of Hawaii in early February. It was my first time in Hawaii so I spent a few days seeing the sites in the 50th state before the conference. I was surprised to learn that 8 of all of the 14 climate zones in the world are in the Big Island and 10 of 14 climate zones are in all of the Hawaiian Islands. A photo I took of the view from the deck of the Hapuna Resort in Hawaii, the Big Island. The conference was on the west side of the island, north of Kona. 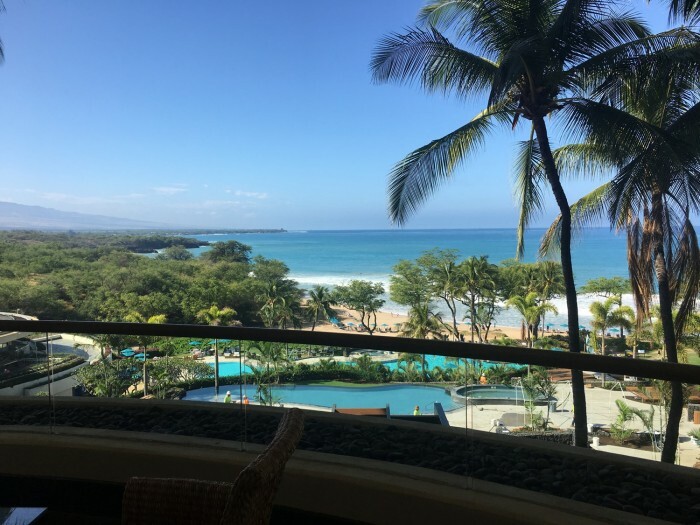 The conference was at the Hapuna Resort which is in an arid area while Hilo, only 50 air miles away, features a tropical rain forest environment! I took a helicopter tour of the island and saw lava and a baby whale with its mother, both a first for me. I was disappointed not to be able to see the Mauna Kea Observatory, as the tours were all booked up. At the conference I presented my paper on Using Cpk and Cpk Confidence Intervals to Evaluate Stencil Printing, co-authored with Indium Corporation’s Chris Nash. I also chaired a session on “Advanced Materials.” One of the session papers, “Oxygen Vacancy Migration in MLCCS” by Dock Brown of DfR Solutions was selected as one of two best papers. At the end of the second day, I was asked to MC a panel on “Solders for Harsh Environments.” The panelists were Iver Eric Anderson of Ames Lab, Prabjit (PJ) Singh of IBM, John Evans of Auburn University, and Dwight Howard of Aptiv. I think this panel may have been the most important event at the conference. All of the panelists were passionate in their concerns for electronic performance in harsh environments. With the advent of automobiles approaching self-driving, more and more electronics will be needed in the harsh environments that autos function in. In the past, the much smaller quantity and primitive nature of electronics, enabled auto companies to make hardened electronics specific to the task. In the future, the use of electronics in autos will eclipse that many smartphones or PCs. All of these electronics must survive the auto’s harsh environment at reasonable costs. This challenge may be the next “big thing” in electronics.